“The development of unique sorting algorithms that allow for extremely high accuracy in the detection and ejection of diamonds has created significant opportunities for new and cost-effective ways to separate minerals from waste,” says Paul Bracher, Managing Director of IMS Engineering (IMS). IMS who has a Joint Venture with STEINERT Elektromagnetbau, for the supply and development of sensor sorting technology into the mining, industrial minerals and recycling industries, says that the diamond sorter STEINERT XTS (x-ray transmission technology/XRT) has developed rapidly over the past year. The challenge is, to even recover the smaller diamonds. “The STEINERT XTS is outstanding for the recovery of large diamonds but precise and reliable while finding the small diamonds, which are harder to detect”, Kai Bartram STEINERT Business Development Manager states. The unit is designed to recover diamonds with a size of 4mm and larger, but even 3mm large diamonds can be recovered efficiently due to the sophisticated algorithms paired with a high pixel resolution of 0.5mm. Here the STEINERT XTS (XRT technology) comes up with a state of the art solution that recognizes all types of diamonds rather than previous technologies. While it is more difficult to discover the small gemstones, it is also reliable on the large diamonds as a leading southern African diamond mine reports. This mine is famous for its large, top quality diamonds, reports success with the two STEINERT XTS sorters that are being used in the Final Recovery Plant of the mine. These are the first x-ray transmission sorting systems to be used in Final Recovery of any diamond mine. In this mentioned southern African project, extensive test work was carried out to show the client that the x-ray transmission technology could detect diamonds as predicted. “It was as a result of this test work that we could provide our process guarantees. We tested both simulants and diamonds provided by the client. The goal was to achieve 100% recovery during test work and we are proud to report that this was in fact achieved,” says Bracher. He adds that during the test work, separation algorithms were further developed for detecting and ejecting diamonds and hardware optimizations were carried out at the same time. For this particular application the equipment had to be re-designed to fit the client’s footprint requirements. During this process, STEINERT integrated the latest developments in the detection equipment as well as improvements in the algorithms developed during the test work. “The result was that we were able to customize the sorter to fit the required footprint, while retaining the maintainability through using standard components” says Dr. Uwe Habich, CTO of Steinert. “We have improved all areas of performance including detection and ejection into a secure area, all while obtaining the lowest possible yield to increase the diamond by weight ejected.” X-ray transmissive technology will enable the mine to recover large, high-value diamonds early on in the recovery process, which reduces the chance for damage. 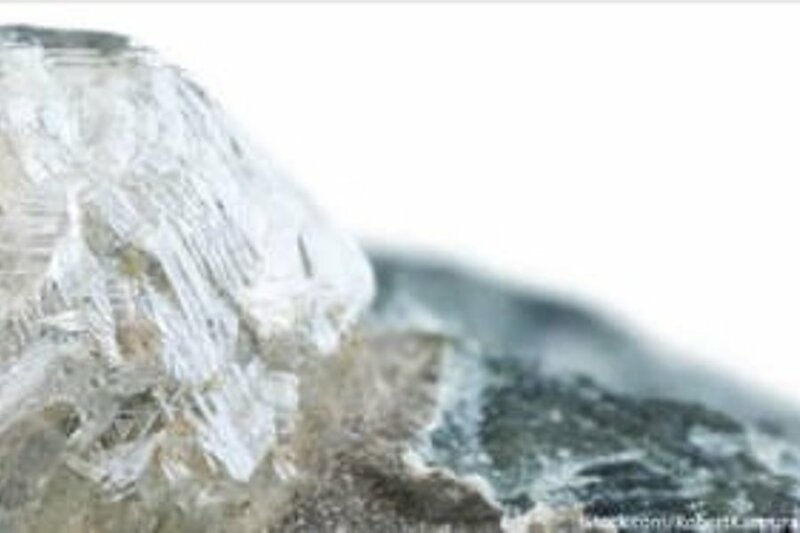 During commissioning a 2-carat diamond was recovered from tailings material that was fed to the machine and shortly after a 50-carat GNT type 2,75% unbroken diamond was recovered by the STEINERT XTS. A mine spokesman says that he looks forward to continue reaping the benefits of the STEINERT XTS (x-ray transmission technology) at this critical stage of the sorting process. “We are pleased to be the pioneers for this technology in the diamond mining industry. The results of the extensive pilot work that we did were indeed most encouraging and this has now been verified by a significant 50-carat recovery,” he said. STEINERT has shown that STEINERT XTS (x-ray transmission technology) is the cutting edge in diamond recovery and diamond sorting technology with its main advantage being that it detects different x-ray absorption levels of different material types. The resulting x-ray images relate to the atomic make-up of each particle going through the detection zone of the machine. Therefore, a diamond, which consists of carbon atoms, appears as a light-grey x-ray image when compared to denser waste rock and, because this is sorting on an atomic level, all diamonds, no matter what their physical characteristics, can be detected with the STEINERT x-ray transmission technology. From a practical perspective, the diamond ore is presented to the sorter via a vibrating feeder which feeds it onto a belt as a single particle layer. The ore travels on the sorter belt and the individual particles are scanned as they pass through the x-ray beam. The particles attenuate the transmitted x-ray which are detected and recorded. The signals are processed through an advanced algorithm that enables the program to differentiate between the less-dense carbon of diamonds and the denser minerals of kimberlite and other waste rock. STEINERT sensor sorting technology is most relevant to today’s mining conditions where, increasingly, challenges such as low-grade ore reserves, high-energy costs, water shortages and stringent environmental legislation need to be overcome. Sensor-based sorting has brought about significant innovation in mineral processing technology and upfront beneficiation and it's time has certainly come in South Africa.